This week the Robots talk about description and setting the scene. How much description is too much, how much is not enough, and how do you know when to stop? We hope you enjoy the conversation. 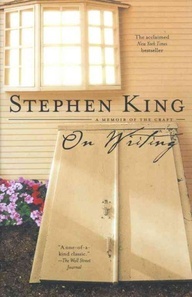 We mention Stephen King quite a bit in this episode, so I’d be doing you and him a disservice if I didn’t put in a link for his magnificent book ON WRITING.